The roots of entrepreneurship lie in Sanskrit. The word antah prerit meaning self motivated. It is this meaning that defines our philosophy. 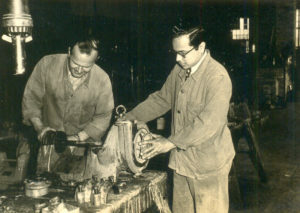 Eastern Engineering Company was founded in the belief that entrepreneurship creates the path to prosperity. We have an eye on enterprise , borne out of over sixty years of focus on identifying segments in the textile and engineering industries where Indian firms have opportunities to establish global leadership. 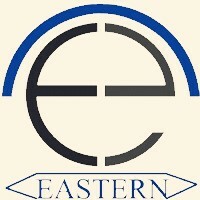 Eastern Engineering Company was established in Mumbai, India during the days leading up to Independence. The country was in need of modern technology in all spheres and the textile industry was no exception.D. 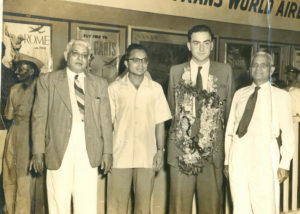 Ramanna was among the earliest textile technology graduates of VJTI, Mumbai. He used this qualification and the experience gained of apprenticing in textile mills to form a company to source various requirements of the textile industry including imports ofmachinery. One of his earliest successes came from the establishment of the Metro Socks. The story goes that a doctor struggling to feed a family of nine would meet him on an early morning stroll each day. Struck by his plight and determined to help improve his condition, D. Ramanna loaned a manual socks knitting machine to the doctor. 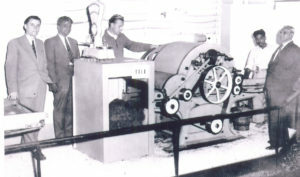 With no shortage of willing hands to work the machine, the large family soon started producing socks and sold them in the local market. 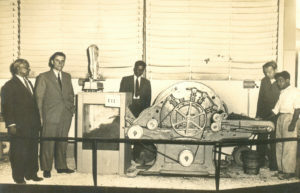 Having tasted success, the doctor soon paid back his loan and bought a second machine. 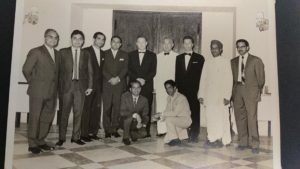 As the little enterprise grew, he gave up his practice and set up what was to become one of India’s largest companies in the sector at that time. A similar effort transformed the impoverished family of a young widow into the Belgaum Frock Factory,thereby pioneering the sweater knitting industry in Belgaum. As economic focus shifted from import of machinery to import of technology, so also did D. Ramanna change focus. His company began representing leading European engineering and textile machinery companies of the time. His untimely death in 1962, saw the mantle pass on to his sons who added new activities that included the production of circular looks for hdpe, toolroom and factories for the production of SPMs and components for automobile,engineering, space research and nuclear power. The textile business expanded to include the representation of globally renowned producers of several items required by the industry. The Indian textile industry saw some path breaking events in the early 80s and Eastern helmed by R Anand was instrumental in many of these. Among them were the establishment of India’s first 100% EOUs in spinning and terry towel weaving respectively. These mills, M/s Nav Maharashtra SSG , Ichalkaranji and M/s Gogte Textiles, Belgaum set the benchmarks for the industry and opened the floodgates for others to follow. As mill after mill took the 100% EOU route to growth, Eastern contributed to their successes by introducing these mills to new technologies and equipment that put them on par with their peers internationally. It was Eastern that introduced the concept of humidification in textile mills and when the first installation at Eurotex Industries,Kolhapur documented the benefits there was no looking back. Eastern also participated in successful collaborations with the Orlandi and Sperotto Rimar Groups of Italy and the Hesta Group of Switzerland in indigenising these technologies . Eastern is now partnering the ETS group in their Indian venture to establish design and engineering services in the healthcare space. A joint venture has been established with Ferrari Ventilatori SpA, Italy for the assembly of industrial fans used in power,oil&gas,cement,fertiliser, paper & textile sectors at Whitefield in Bengaluru. Hosur in Tamil Nadu is the location of Marzoli Textile Machinery Manufacturers P Limited-a company of the Camozzi group of Italy which produces textile spinning machines. A new collaboration has been formed with Ferrari Ventilatori Industriali SpA of Italy who are renowned for the production of industrial fans. These fans have been widely accepted by the textile,paper,glass, cement, sugar, oil and gas and power sectors for their robust construction , maintenance free working and energy efficiency. The unit has been established in Bengaluru and roll outs are underway. As India moves into a new era, the nature of collaboration between business partners change with Indian companies becoming both providers and consumers of advanced technology. Eastern has been at the forefront of recognising this change and has expanded its product profile to be in sync with the ever changing market. The engineering side has been strengthened to explore the opportunities present across other segments like food processing, healthcare,industrial products and renewable energy. The textile industry in India is undergoing a paradigm shift. As the bulk of production consolidates in the arc between Africa and Asia, the challenges confronting the industry are enormous. Intense competition from countries that receive state support towards production inputs as well as policy reviews locally has meant that Indian entrepreneurs are looking for innovative and value added products to improve profitability. Eastern is focussed on helping such enterprises achieve their objectives. From Fibres to Fans. Our solutions for a spectrum of businesses.